The 43 poems in this collection will annoy those who love poetry. However, for those of us who have no use for poetry, these will be quite enjoyable. Obeying none of the laws set forth by academia, a free verse style guided the author in his writings. This is only appropriate, as my subject is horror. Horror, as a genre, obeys few rules. 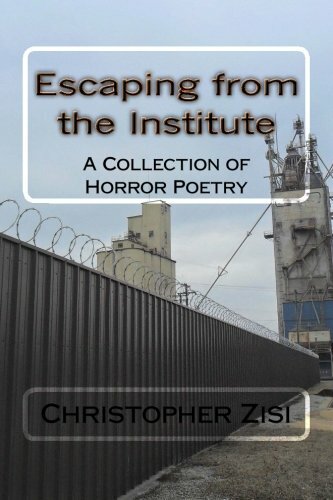 Zombies, psychopaths, serial killers, mutants, mad scientists, and weird neighbors are just some of the subjects explored by the author, Christopher J. Zisi. We all have our dark sides, and the poems in &#x201c;Escaping from the Institute&#x201d; explore an unlit reality just beyond the shadows. Have fun reading this collection, even though your friends and family will not understand.